1. We had over 12 inches of rain last month. It's made driving to work a little tricky for some folks. 2. I have Friday and Saturday off this week! A Friday And a Saturday! Two days, back to back! On a weekend! I'm slightly worried about what the boss might be buttering me up for. 3. 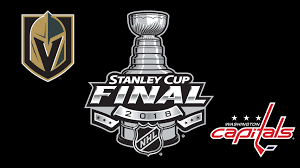 The Caps just may bring home the cup tonight! LONG weekend for the win!!! Enjoy.